Some would argue that it’s possible to reform the police to be a benevolent social service tasked with menial community improvement roles. While we would love to see the police relegated to picking up poop off the ground, they will always use the power they gain from the, “social good” they do to oppress people and defend capital. Steve “fight a bear” Hall, manager of city hall and infamous anti-homeless, pro-fracking bureaucrat, attended the event and was heckled by anarchists when he claimed that being against the police was a form of bigotry equivalent to racism or other forms of structural oppression. Some of us went inside to listen to the police spout their nonsense. 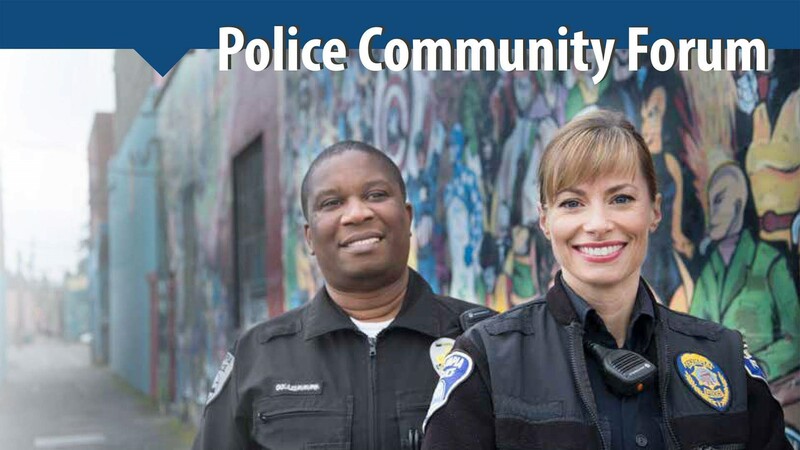 One of the concerning police projects we heard about is the formation a “crisis response team” based on the model of a Eugene-based organization called CAHOOTS, which serves as a crisis response organization outside of and completely distinct from the police. 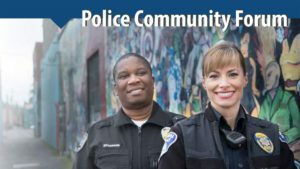 The Olympia cops are trying to invoke the name and reputation of CAHOOTS (an autonomous group) to serve their despicable agenda in setting up their own top down, “crisis response” team, which we know would only continue to harm and criminalize people with substance use and mental health differences. We believe the cops are trying to recuperate and enact a “crisis response” team as a PR move after the police and paramedic perpetrated killing of Vaneesa Hopson. The Police already have a monopoly on force and want to expand that to a monopoly on safety generally. They want to control all the ways in which we support and care for each other by making sure every emergency gets channeled through the police. The need for autonomous crisis response is more important than ever and it is vital we set up our own ways to respond compassionately to even the most serious crisis without involving the police. Every time the police visits a grade school and hands out sticker badges, or free bike helmets to kids they are building social power and legitimacy which they use to oppress those who are vulnerable. Two separate people we talked to believed that the existence of an ancient alien conspiracy was more believable than a world without police. But the police are not a given they have not always existed and they can be destituted. Its necessary to both stand against the police in the streets as they wield their power through direct force as well as to oppose them when they build social power in public forums like this one. 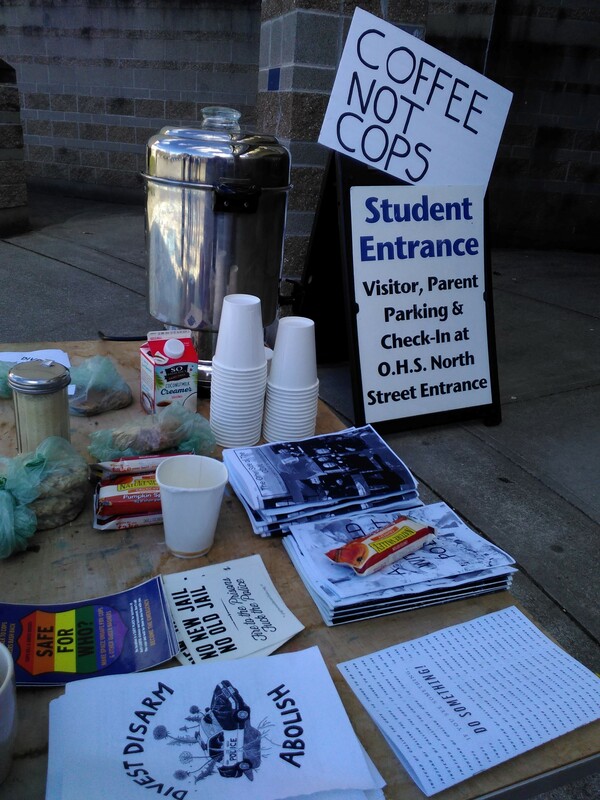 Events like Coffee not cops help fight the police’s claimed essential role in society. 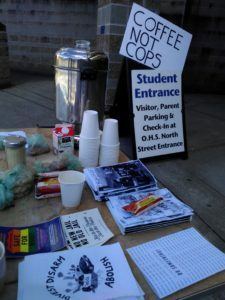 Lets make interventions like this more common , and block the police on every front. 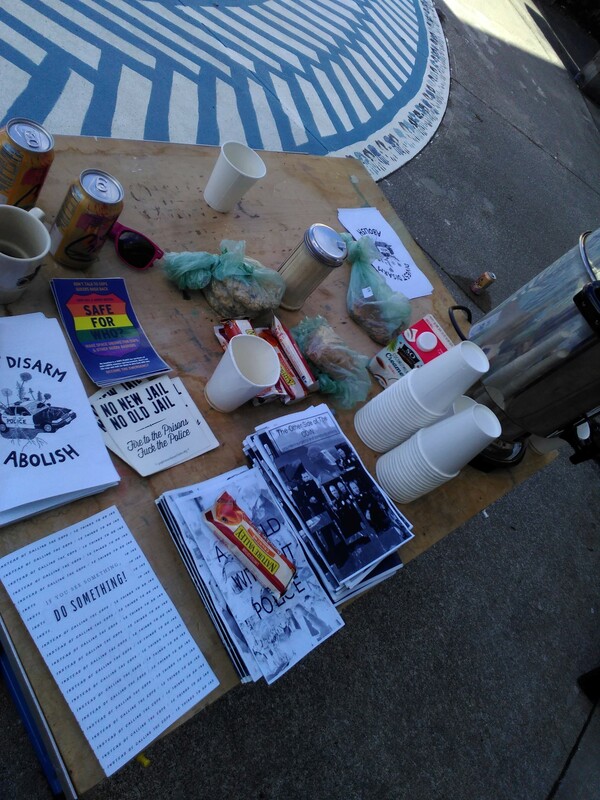 Here is the PDF to a newly formatted Zine about community policing. And below is the text to the flier we handed out inside and outside the forum. safe when they evict them from their camps in the middle of the night. while many others who they oppress view them as an occupying force. The feedback we have instead is aimed at our neighbors and friends.